The Dolores Huerta Foundation would like to raise $25,000 to purchase a previously owned van to help us handle some of our growing transportation needs. Thanks to funding from the California State Legislature we are expanding our youth and family organizing program. The Youth and Family Civic Engagement Initiative is in the process of recruiting a cohort of 100 youth in the Central Valley to increase civic participation among low-income, disenfranchised youth and their families through classes, trainings, activities, and civic engagement projects to develop ethics, moral character, and leadership skills necessary for academic, civic and workforce success. 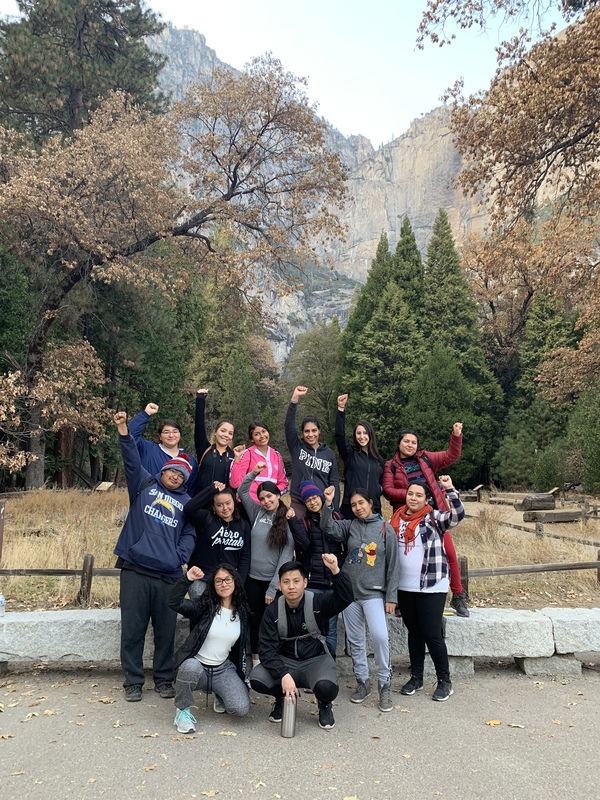 The new cohort group has started attending classes at our main offices and has taken long distance trips to convene and train with our partner organization the MLK Jr. Freedom Center in Oakland and attended a Days of Gratitude Youth retreat in Yosemite. Why do we need our own vehicle? Many youth in the Central Valley and the surrounding rural areas could be prohibited from participating in this life changing opportunity due to limited access to quality public transportation. The cost of transportation and the time required to transport their children could place an undue burden on our Vecinos Unidos families. Renting commercial vans is costly for a small non-profit. Local rental agencies have a limited supply of commercial vans and they are often reserved months in advance. Sometimes great leadership development opportunities come up with short notice. We know you have many choices, as there are so many people in need this giving season. We appreciate your consideration!